It has been over 50 years since USB opened its doors to 14 MBA students in 1964. Today, USB has grown to offer world-class education to over 28 000 students from all over the globe. 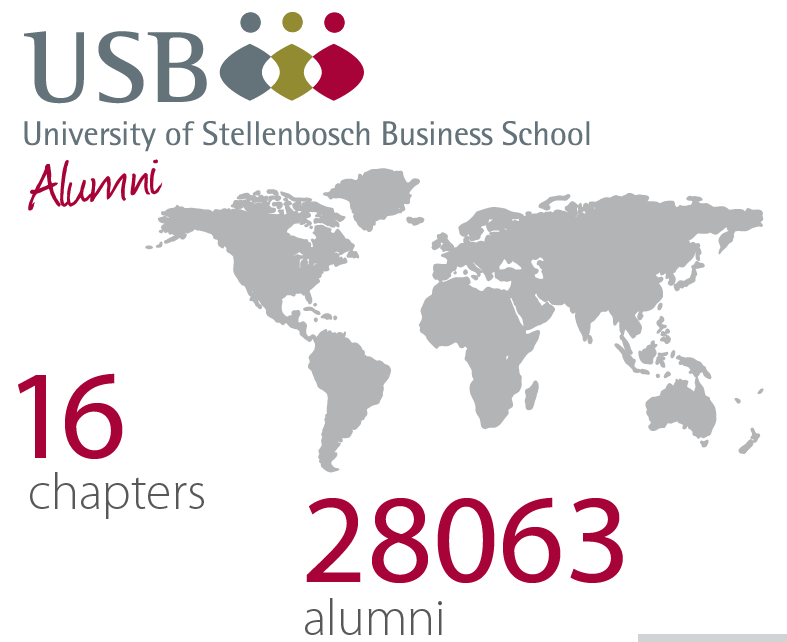 Find out why USB is one of the highest ranked business schools in Africa. USB forms part of Stellenbosch University – the strongest research university in Africa. 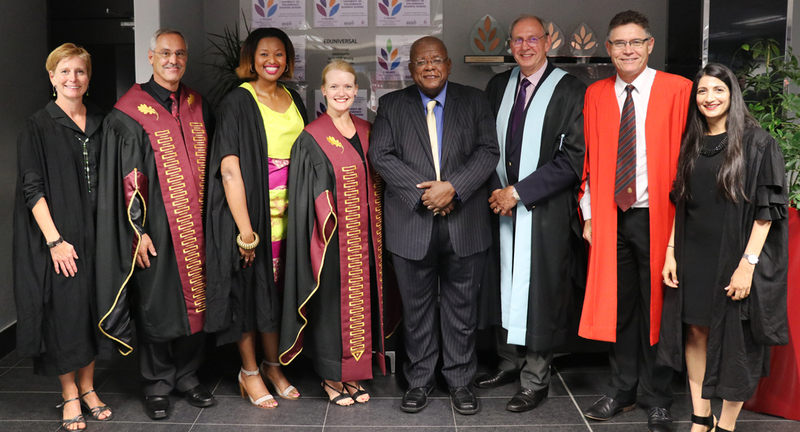 In 2018, Stellenbosch University will be celebrating its 100-year anniversary. USB has always believed in excellence, a philosophy that resulted in it becoming the first school from an African university to receive the Triple Crown of international accreditations – AACSB, EQUIS and AMBA. Link with Stellenbosch University: USB forms part of Stellenbosch University, which is celebrating its 100-year anniversary in 2018 and which is the top-ranked research university in Africa. Partnerships with some 80 business schools across all continents: These partnerships open up opportunities for joint research and conferences, and exchange studies and lectures. 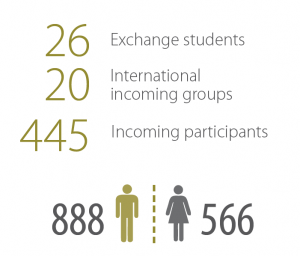 International memberships: USB’s memberships of various organisations in the international and African business school environment is based on collaboration and support. 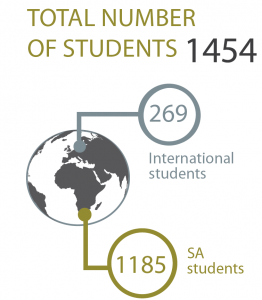 Students from a growing number of countries: In 2017, USB’s students came from some 40 different countries. A collaborative learning spirit is nurtured by the opportunities that USB presents to its students. Collaboration occurs between USB’s multicultural student body, faculty and international partners that bring unique knowledge across a variety of fields. However, not only are students learning to work with other students from across the globe, they are also given the chance to network with local and international businesses from a number of industries. The USB Advisory Board, too, includes business representatives from across the globe. 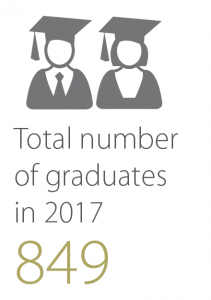 Opportunities for continued learning, engagement and networking continue past graduation thanks to the USB Alumni Association with its 27 000 members from all over the world. For alumni, this is a rich resource of people, knowledge and skills from which to tap for the rest of their lives. Responsible leadership development is ingrained into USB’s mission. This know-how will enable students to understand their role as responsible leaders when they go back to society, and to hold themselves, their teams and their companies to a higher standard as custodians of society’s institutions and organisations. The creation of new business knowledge through research ensures academic relevance and updated curricula. Faculty and student research, research centers, research fellowships, and joint research projects and conferences all contribute to USB’s growing body of research. USB’s academic research is accessible through the USB research portal. You can reach each of these departments via the Contact us page. One of USB’s key social engagement initiatives is its Small Business Academy, which offers a nine-month business development programme to small business owners from low-income communities in the Western and Eastern Cape. Students also play a role in social impact through engaged learning programmes that see them interacting with community members. For example, students might assist small business owners from a low-income area with their business plans. USB’s vision is to be globally recognised as THE business knowledge partner in Africa. USB’s mission is to develop responsible leaders through well-grounded business education and research.